Spectacular views, access to a lake and a lovely home are just what you want from a stay in the Lake District, right? But, how about having an amazing stay that also helps fund research in the Lake District? Well, we are pleased to announce that in Spring 2017 you can stay at Mitchell Wyke Bay, a brand new and exclusive development, on the western shore of Windermere. 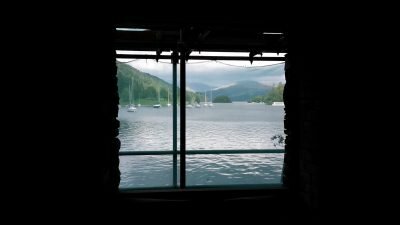 Not only will you be staying in a luxury apartment in the Lake District, but in a building with historical tales, since Mitchell Wyke Bay was, for a long time, the home of Freshwater Biological Association (FBA). The FBA has been pushing the boundaries of freshwater science since it was founded in 1929. Their work is important to our understanding of key issues affecting the future of fresh waters today – from pollution and water quality, to biodiversity and climate change. Your stay here will help to support the charity in its important and independent research. The extreme floods of 2009 meant the FBA had to move out of the building, which was badly hit by the fast-rising water and the building fell into disrepair. So, the FBA decided to change its use. Work started in May 2016 to convert the former scientific research building into a 3-bedroom cottage and 6 single bedroom apartments. So, visitors like you can enjoy this glorious spot on the lake and entirely experience a great Lake District stay. 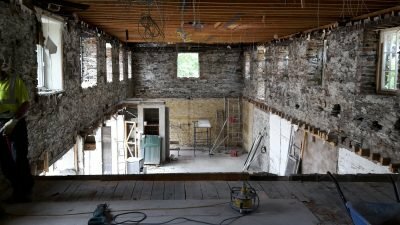 Simon Pawley, of the FBA, is excited to be bringing an historic building back to life. He says: “In November 2013 Planning was granted to convert the annexe into ‘Mitchell Wyke Bay’, seven apartments to be used by Members and visitors to the Association and for holiday lets to generate income to support the work of the FBA. “Referencing the illustrious scientists and staff of the past, the seven apartments will be named after previous FBA staff. “Each apartment will contain a photograph and information about the eponymous scientist and their contribution to freshwater knowledge. Flood resilience measures are in place for the building. 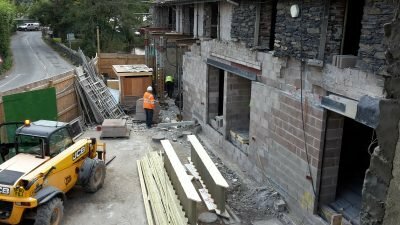 And, to help the Lake District environment too, green energy will supply the heating and hot water via the FBA’s new biomass boiler system, installed in the Pearsall building in winter 2015.